If any of you out there follow my blog, you may remember I did a couple of posts a while back inspired by Kari Sperring’s Women to Read initiative. I decided to take it a step further and recommend a place to start with the women whose work I was urging people to read. Now, the good folks at SF Signal have been kind enough to invite me to do the same thing here. So, picking up where I left off, I’ll give you a small sampling of women I think you should read and where you should start with their work. Allons-y! There are probably very few people out there who haven’t read at least one story or book by Ursula K. Le Guin in their lives. 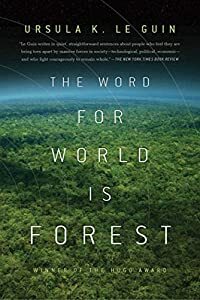 But for those folks who may be new to reading speculative fiction and want a starting point for one of the masters of the genre, I suggest The Word for World is Forest. The original novella appeared in Harlan Ellison’s Again, Dangerous Visions anthology, was nominated for a Locus Award, and won the Hugo for best novella in 1973. Le Guin expanded the story into a novel, which was published in 1976. The original novella was my first encounter with Le Guin’s writing, before The Left Hand of Darkness and the Earthsea novels, which is where most people typically start with her work. At the time I first read the novella, I wasn’t aware of it being Le Guin’s response to the Vietnam War; I only knew the story haunted me long after I put it down – the inhumanity of the humans and their brutality toward the “creechies”, the idea of dreaming the invention of war, all of it. I’d never read anything quite like it before and it opened my eyes to what speculative fiction could be and what it could do. Jackson is another author who probably needs no introduction; she has an award named for her, after all! But for those unfamiliar her work, I recommend starting with We Have Always Lived in the Castle, a novel published in 1962. 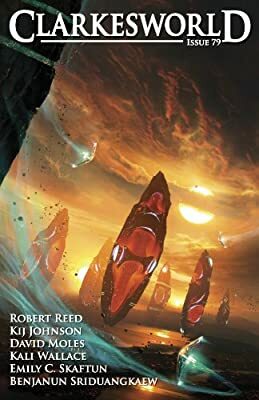 I’m recommending this as a starting place not only because it’s a brilliant work, but because so many of the novel’s themes remain relevant to discussions going on in the speculative fiction world today. 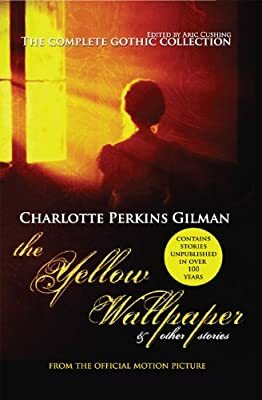 It is a novel dealing with outsiders, with characters who are driven into isolation by other people’s perception of them, and excluded from the “normal” life of the community. None of the people in the town know the truth about Merricat or Constance, but based on rumors, based on received wisdom and shared misconceptions they shun them, taunt them, and commit violence against them. To the people of the town, it doesn’t matter who the real villain is, or what they’ve done. What matters is the rumors they’ve heard about the family, which they take for truth because no one has ever thought to suggest otherwise. 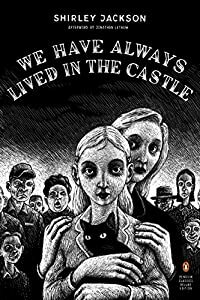 We Have Always Lived in the Castle is also a prime example of quiet, literary horror, where the monsters are domestic, and the fear insidious and creeping, which makes it all the more effective. 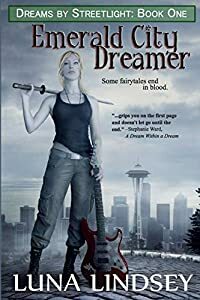 While Kelley Eskridge is a well-established author, she’s not as well-known Le Guin and Jackson, because who could be? So, in the hopes of introducing you to a new and fabulous world of writing, I recommend starting with “The Eye of the Storm”. 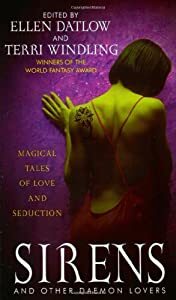 This short story originally appeared in Ellen Datlow’s and Terri Windling’s Sirens and Other Daemon Lovers, and was reprinted in Kelley’s collection Dangerous Space as well as in Brit Mandelo’s excellent 2012 anthology, Beyond Binary. “The Eye of the Storm” was my first exposure to Eskridge’s work. It is another one of those stories that lodged in my brain, which I come back to again and again at unexpected moments. It is a story with an expansive understanding of sexuality, embracing fluid notions of gender and desire. It’s the kind of story that shows how wide the world really is, how many multitudes is contains, and how many possibilities there are for defining family, love, friendship, and conflict. It presents a world where there’s no need to separate things by narrow categories and definitions; there are multiple ways to move through the world, and even battle can be a form of harmony. 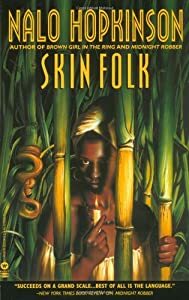 Nalo Hopkinson is not only a prolific author and an editor, but on an entirely personal note – she’s a fellow Canadian and a fellow Capricorn, which makes me happy. I recommend “Fisherman” as a starting place for those unfamiliar with her work. 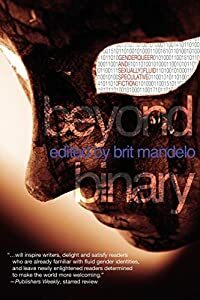 The story first appeared in Hopkinson’s collection Skin Folk, and was also reprinted in Brit Mandelo’s Beyond Binary last year. “Fisherman” is another story that plays with the fluidity of gender, and rejects the notion of narrow labels and definitions. Central to the story is the fundamental truth that there’s more than one way to be a woman, or a man. The only thing that really matters in the end is being yourself. The world doesn’t get a say in who you are, what you can or cannot be, or how you act. Identity, gender or otherwise, comes from within. So there you have it, four women whose work I admire – two classic, two contemporary, all well-worth reading. I hope I’ve helped you discover something new, and that you’ll share the work of these and other women far and wide. To kick things off, I’d like to offer a suggestion slightly out of left field. Toni Morrison, while she’s a highly acclaimed author, is not traditionally associated with the speculative fiction genre. But, at its heart, Beloved is a ghost story, and it’s my recommended starting point. 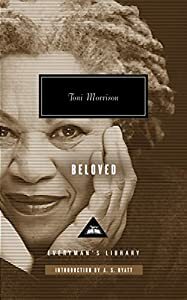 Beloved, published in 1987, is not a conventional ghost story. The ghost in the tale is one born of rage, guilt, anger, and love, but not its own. It is a ghost birthed, quite literally, by the character being haunted, which makes the story all the more poignant. While I was initially introduced to Beloved through the filmed version, it stuck with me, a haunting in the true sense. The movie prompted me to seek out the novel, which is every bit as dark and darker still. Beyond the darkness, there is a lyrical quality to work, and an epic feel to a largely domestic story about pain and struggle very much rooted in this world. Beloved is a ghost story, but it is so much more than that. It is the story of life, with all its love and horror. It is the story of family, of holding on, and of letting go. Among genre fans, Marion Zimmer Bradley likely needs no introduction. In addition to her own prolific writing career, she helped launched the careers of several other authors through her ground-breaking anthology series Sword & Sorceress, focusing on women in fantasy fiction, and through her Marion Zimmer Bradley’s Fantasy Magazine. Among the new voices in speculative fiction she sought to promote, she was particularly interested in showcasing female authors at a time when the pages of most publication were still dominated by men. Bradley was also very active in fandom, co-founded the Society for Creative Anachronism, and wrote under multiple pen names, including writing gay and lesbian pulp fiction. 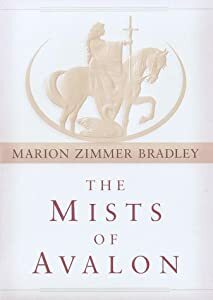 For those who are unfamiliar with her work, I recommend starting with The Mists of Avalon. In this classic novel, Bradley reclaims the stories of the women in Arthurian Legend – Morgaine, Gwenhwyfar, Igraine, Nimue – and all the other women typically either left out of Arthurian tales or relegated to secondary roles. She gives these women agency, elevating them beyond cookie-cutter and one-dimensional characters such as evil sorceress or patient wife. She gives the women of legend legendary status in their own right, complete with complex motivations and desires of their own. She draws them in shades of grey as opposed to stark black and white. In essence, she writes the women in her novel as (gasp) real people. 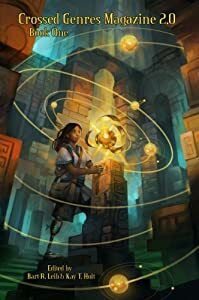 Helena’s Bell’s short story “Robot” was a Nebula nominee for Best Short Story in 2012, so what better place to start with her work? 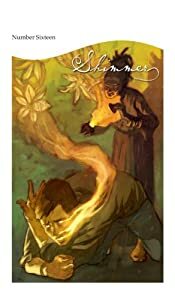 Though I must admit, I have a certain fondness for “In Light of Recent Events I have Reconsidered the Wisdom of Your Space Elevator”, which appeared in Shimmer #16. How could you fail to love a story with a title like that? May I cheat and suggest two starting points for her work? Both Robot and In Light of Recent Events I have Reconsidered the Wisdom of Your Space Elevator, are effective specifically because of what they don’t show. 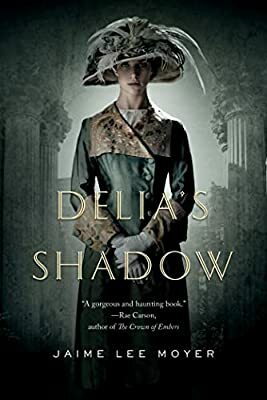 The stories lies largely in-between the lines of text, and rather than hitting readers over the head with her point, Bell trusts their intelligence and lets them bring something of themselves to the text. She captures a unique voice with each piece, and uses it to explore vast themes like love and loss on an intimate and personal scale in a lovely and poetic way. Gemma Files is the author of the Hexslinger Series, a prolific short story writer, winner of an International Horror Guild Award, and other fellow Canadian. As a starting point for her work, I’ll recommend the first short story of hers that I read, “Spectral Evidence”. 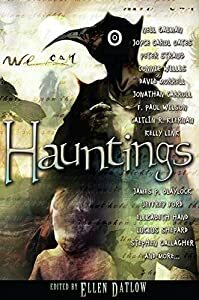 “Spectral Evidence” was first published in ChiZine #30, and was recently reprinted in Hauntings edited by Ellen Datlow, released earlier this year. “Spectral Evidence” is another story that expects the reader to bring something to the text. Its horror is all the more effective for its subtlety; it is insidious and creeping, rather than relying on buckets of blood and cheap shock value. Files uses footnotes brilliantly in the story, again telling much of the tale between the lines of text, by what is implied rather than what is outright shown. In the interest of full disclosure, I’ll admit I’m a sucker for ‘found tales’ (think the first Blair Witch Project), and Files uses the trope particularly well, allowing the story to reveal itself slowly through notes and commentary on a series of disturbing found photographs. In the conversation about women in speculative fiction, the same names tend to come up over and over again: Ursula K. LeGuin, Shirley Jackson, Anne McCaffrey, and so on. While these authors are all more than worthy of mention, it’s far past time to turn our attention to the authors making their mark on the field today. To that end, I recently put out a call for recommendations of authors who made their first paid sale (pro or otherwise) within the last two years. Based on the fabulous responses I received, I compiled a list of new voices in speculative fiction on my blog. In this installment of Women to Read, I’ll highlight a few of those new voices. In the interest of full disclosure, I’ll admit bias here: Lindsey’s first paid fiction sale was to the ‘Hello World’ mini issue of the Journal of Unlikely Entomology, which I co-edit. However, I promise not to be entirely self-serving here. 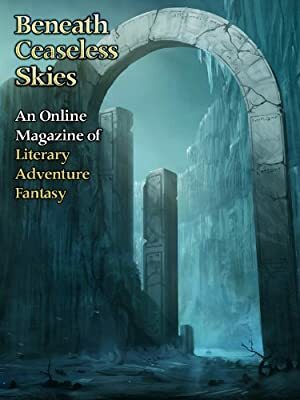 The story I recommend as a starting point appeared in Crossed Genres‘ ‘Touch’ issue in August 2013. 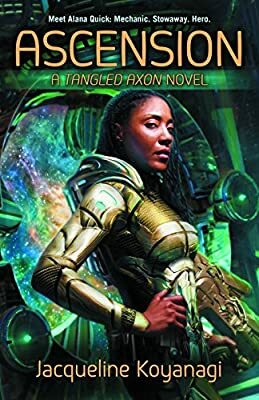 ‘Touch of Tides‘ features a character with synesthesia whose gender is never defined, and is an example of an alien communication/first contact story done right. Too often fiction takes the easy way out when it comes to communication, either relying on hand-wavy technology that might as well be magic (see the Tardis translation circuit), or ignores the question completely. Lindsey’s story ‘Touch of Tides’ encapsulates the problem of interspecies communication with a very simply question: How do you communicate the idea of ‘from another planet’ to a being that has never even seen a star? Humans haven’t conquered the problem of communicating with the creatures on Earth; alien communication shouldn’t be easy. Even within our own species, we regularly fail to make ourselves understood – another point Lindsey makes within ‘Touch of Tides’. No two people experience the world in exactly the same way, complicating the old axiom of treating others as you want to be treated. So how do two beings with no common ground at all talk to each other? All that said, the story isn’t bleak. Even with vast differences, there are ways to make ourselves understood, but it’s a slow process, requiring patience. Another admission of bias here: A.T. Greenblatt and I share a critique group. However, I hope you’ll take this knowledge in the spirit it’s offered – as proof I know what I’m talking about when I say you’ll be seeing work from Greenblatt everywhere very soon. The first of her stories I encountered recently appeared in Daily Science Fiction, and that’s the one I’ll recommend as a starting point. 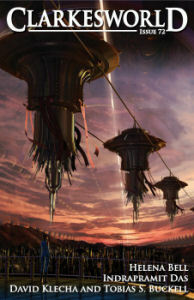 ‘Tell Them of the Sky‘ has a lovely, fairytale-like quality. It’s set in a world ruined by pollution and war, but like Lindsey’s story, it isn’t without hope. But hope comes with a price, underlining the truth that those things in life truly worth having often require sacrifice and pain. 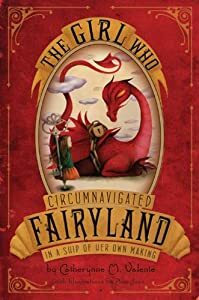 It’s another story demonstrating important of patience, showing that even in a fantasy world, sometimes a lifetime of waiting, growing-up, and living hard must be endured before your dreams come true. There is a semi-bias here, only in that I have a personal experience with the author’s work leading me to this particular recommendation. 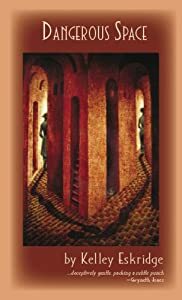 At this year’s Balticon, I had the pleasure of hearing Pinsker read an excerpt of my recommended starting point for her work, ‘In Joy, Knowing the Abyss Behind‘, prior to its publication in Strange Horizons. 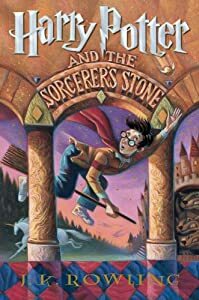 The portion of the story she read immediately hooked me, providing a glimpse of a bittersweet tale containing elements of the fantastic, but at the same time, very much rooted in real and relatable loss and pain. There is a beautiful subtlety to this story. It never hits the reader over the head with the speculative element, leaving much of that side of the story between the lines. 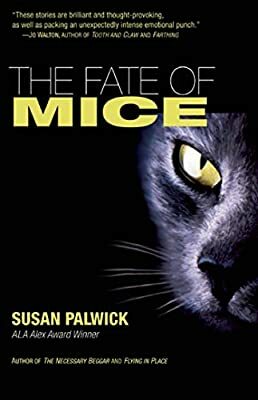 Pinsker handles the subtext so deftly that two full stories present themselves to the reader, even though only one is fully outlined on the page. There is no bias here. 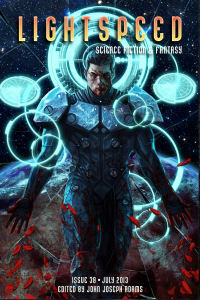 I came upon my recommended starting point, “This Villain You Must Create“, which appeared in Lightspeed Magazine, with no prior knowledge of the author, and I fell in love with the story right away. Okay. I will admit a bias for superhero/villain stories, but that’s my only bias here, I swear. As with my favorite superhero/villain fiction, this story humanizes the characters, moving beyond archetypical comic book depictions. I was honestly taken by surprise at the story’s ending. It avoided the easy path, veering from the easy and expected solution into darker territory, taking my appreciation to the next level. I expect to see wonderful things from all of these authors in the years to come. Pay attention, these names are among the ones we’ll be offering up in the future as shining examples when people say that women can’t/don’t write speculative fiction. Anyone who knows me knows I have a weakness for comic books and superhero fiction. The traditional perception that comic books are for boys is slowly shifting, but the emphasis is on slow. Male superheroes dominate the box office, women who cosplay their favorite heroes are called fake geek girls, and we still have comic book creators today who say if women don’t like how they are portrayed (if they’re portrayed at all) in comic book pages well it’s too damned bad because comics aren’t for them anyway. So, in this installment of Women to Read: Where to Start, I’m going to shine a spotlight on women writing superheroes and proving there’s no sign on the genre door proclaiming ‘Boys Only’. 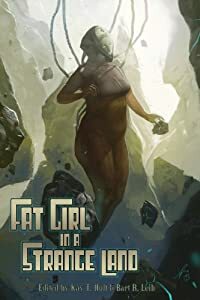 At this year’s Readercon, I had the good fortune to hear Sabrina Vourvoulias read an excerpt of her story “La Gorda and the City of Silver” from the anthology Fat Girl in a Strange Land. I was immediately hooked and hurried to the dealers’ room to grab a copy of the anthology. Vourvoulias’ La Gorda is several things very rarely, if ever, seen in mainstream superheroes: she’s a girl, she’s Latina, and she’s fat. She also embodies the best characteristics of the archetypical self made superhero. La Gorda has no special superpowers, but she sees injustice both in being told women can’t be luchadores and in the abuse of the powerless by the powerful. She strikes out on her own, ignores the rules, and fights for those who can’t fight for themselves. 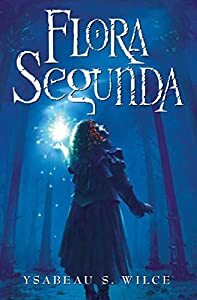 Another interesting element of “La Gorda and the City of Silver” is the way it underlines the importance of community, and presents a community solution to a problem, instead of relying on a lone hero or exceptional individual to save the day. La Gorda is powerful, but part of her power comes from her family, including the extended family of her friends and neighbors. Like the best superheroes, she’s the defender of her city, a city which informs her character and with which she is very much intertwined. Jessica May Lin’s “Dark, Beautiful Force“, published in Daily Science Fiction, is a superhero team-up story that doesn’t follow the typical, easy route. It’s a story about fighting super villains, but it’s also a story or fighting personal anger, loss, and pain. It treats its vigilante heroes as first and foremost human beings, who can be hurt and broken, but who can also display incredible amounts of courage and are capable of great sacrifice. 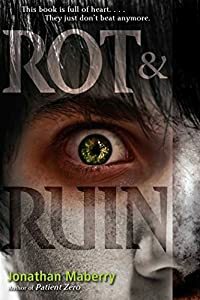 It sets itself apart from many superhero stories with a dose of grim reality; outside the pages of comic books, superheroes can’t always save the day. 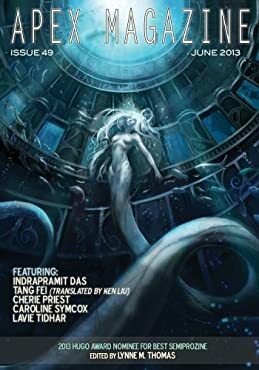 E.L. Chen’s “Nocturne” from the anthology Masked Mosaic is another atypical superhero story, in that it may not be a superhero story at all. A mysterious, hooded figure flies through the city at night. The story’s main character very much wants to be that hero, and many inexplicable coincidences in his life hint that he may indeed be, but if he really was a superhero, if he could really fly, wouldn’t he know it? The story never provides a definitive answer. 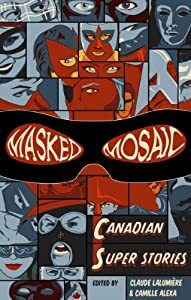 It’s a superhero story with a secret identity, leaving it up to the reader to decide whether it’s a mild-mannered tale with hidden superpowers, or a bittersweet story of someone wishing to be something they’re not, dressed up in superhero garb. All that, and it’s beautifully written to boot. Last, but certainly not least, it would be impossible to talk about women and superheroes without mentioning Gail Simone. 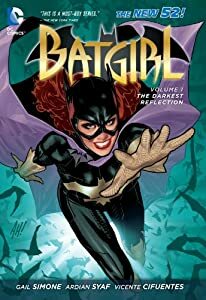 In terms of where to start with her writing, you can’t go wrong with Batgirl or Birds of Prey, which are among the few female-dominated mainstream comic titles out there. But consider this as well – Gail Simone may very well be a superhero in real life. She fights for the inclusion of more women in comics, both as creators and characters. She regularly smashes the fake geek girl myth and stands up to sexism with her awesome powers of wit and snark on twitter. She is even one of the founders of Women in Refrigerators, a website dedicated to tackling the trope of violence against women as a plot device, there only to move the male hero’s story forward. See? Definitely a superhero. These four are only a small sampling of the women writing awesome superhero fiction. Thank you all for tuning in for this vaguely Halloween themed installment of Women to Read: Where to Start. There’s no particular theme this time around, just a bunch of work I’m excited about, things I read and loved that I want other people to read and love, too. So there you have it, another installment of Women to Read: Where to Start. I hope you’ll seek out and enjoy work by these wonderful authors.